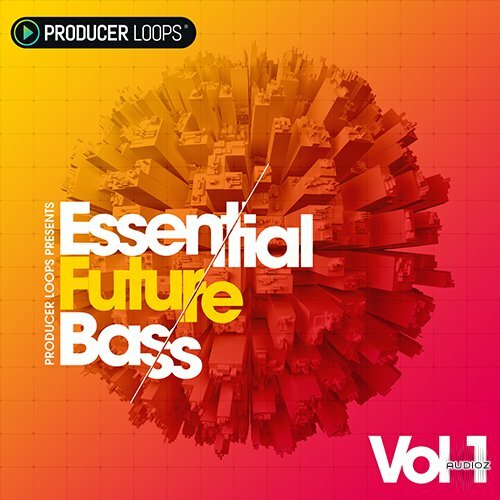 Essential Future Bass Vol 1 from Producer Loops is the first in a brand new series of ultra-modern Construction Kits inspired by San Holo & Marshmello. You'll find five razor-sharp productions containing a collection of the hottest Future Bass leads, basslines, FX, melodies and vocal snippets ever to hit the sample market. In detail, this library includes five Construction Kits, featuring expertly produced synth and FX loops, as well as pounding drums, vocal fragments, and much more. Sidechained and non-sidechained loops are also included, meaning you can recreate the demo mixes perfectly without having to do any additional dynamics routing in your sequencer. One-shots are also included, along with MIDI files for the majority of the phrases heard in each Kit. Like so many other Producer Loops products, 'Essential Future Bass Vol 1' includes MIDI files for the majority of musical phrases heard in each Kit, allowing you to seamlessly mix your favourite synths and samplers with the sounds contained in the pack. While the supplied ACID/Apple Loops/REX files are extremely flexible and powerful, MIDI has the added benefit of allowing you to go to extremes of pitch and tempo beyond which the loops were originally recorded, with no time stretching or pitch shifting artefacts. Furthermore, you can make tweaks to the riffs so they fit perfectly into your existing mixes. This pack also includes one-shot samples, allowing you to create new beats, fills and loops to compliment the existing material. Simply load them up into your sampler of choice and create an infinite number of new grooves and phrases. Sidechaining is an undeniably essential technique to master in modern Electronic production, and these loops come with sidechaining baked into the samples for quick and easy arranging. However, regular versions of these loops are also included, perfect for those softer moments in your track. Producer Loops Essential Future Bass Vol 1 MULTiFORMAT has been exclusively released on AudioZ by Fantastic who chose to ask not to post mirrors. I can't unrar the file, Why bro ? quote by Reivax911I can't unrar the file, Why bro ?